I always think when it comes to reviewing a product, which is more expensive; I really need to take my time when it comes to giving you an honest review, just as I would if the product wasn’t as expensive. I think sometimes it’s easy to pass something off because at the end of the day will £5/£10 ever hurt your bank balance? No. 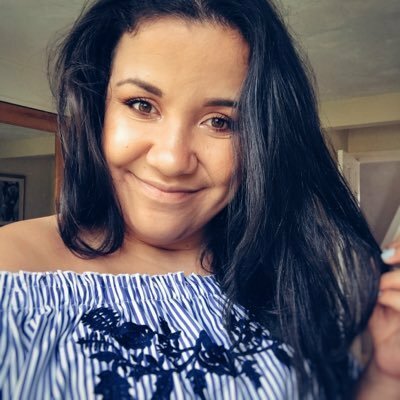 But when it comes to trialling out a product which is a couple of hundred pounds I have really taken the time to give you guys an honest review. 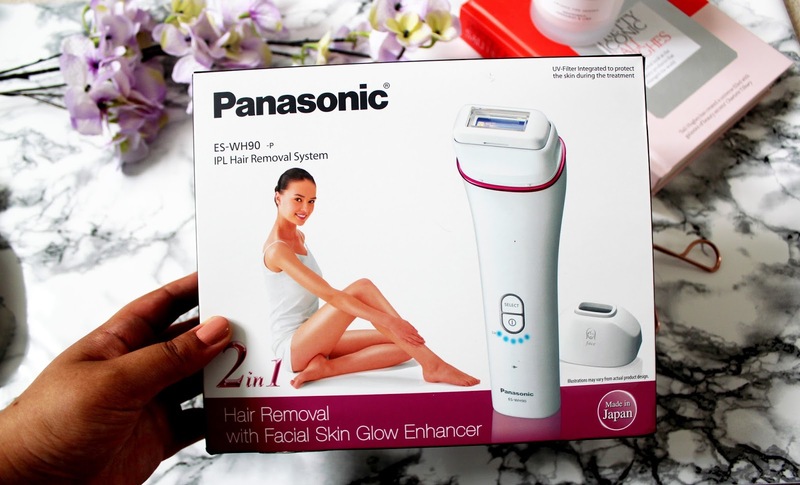 Panasonic ES WH90 IPL Hair Removal System - £399* When it comes to removing unwanted body hair and facial hair it’s always been a costly affair (especially because I have dark brown hair) as it is more visible than if I was a blonde haired person. I have always been really self-conscious about my body hair and as I’ve got older I have been trialling different waxes, shaving and hair removal techniques. One thing I have never tried before is IPL hair removal. I work in a team full of women and a few of them have had IPL treatment done and rave about how good it is. So when it came to the opportunity of trialling out a hair removal system, which you can do at home, I jumped at the chance. As this is a product where you do not see the results immediately, for the past month I have been using it and I am so pleased with the results. So what is the Panasonic ES-WH90 Cordless IPL Hair Removal System? This IPL removal system can effectively inhibit the growth of unwanted hair without damaging your skin and provides a safe and effective treatment for your arms, underarms and face and bikini line. I’ve been keeping a weekly diary about my experience with this hair removal system and you’ll be intrigued about the results. 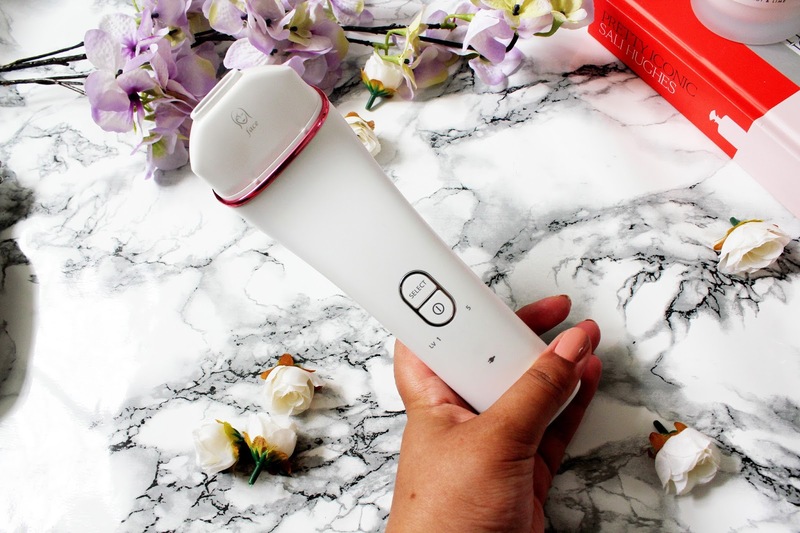 I received this IPL Hair Removal System in the post and I couldn’t have been more excited about it. As someone who has always struggling with my body and facial hair I was desperate to try this out. After reading the instructions, charging the battery and waiting a day, I used the system. Wednesday nights are my pamper evening so I trialled this out on my legs and it advised in the handbook of instructions to use this again in a week. I found using the device was easy enough and I had the device on a pain setting of 3, which I was able to deal with. I did find that it was hard to keep track of where the machine has been used on your body so it felt, at times as if I was repeating the task. It’s pampering night again and I have to say I haven’t noticed a lot of difference when it comes to shaving my legs. I am a little bit scared to use this tool on my face yet so I’ll just use it on my legs for now. I would have liked to see a difference but I suppose these things take time… I think I will see a difference in the next 10 days to 2 weeks. It feels like it’s been a while but it’s genuinely taken me up until now to notice the difference between what my legs would have looked like (hair wise) compared to what they actually look like now. I have reduced the amount of time I spend shaving my legs and I’ve noticed that the hair on my legs isn’t growing quite as fast. I used the pain setting of 5 but even then it felt quite harmless the effect of upping the setting. What I like about this system is it’s very pain free, it’s lightweight and it’s really easy to use. 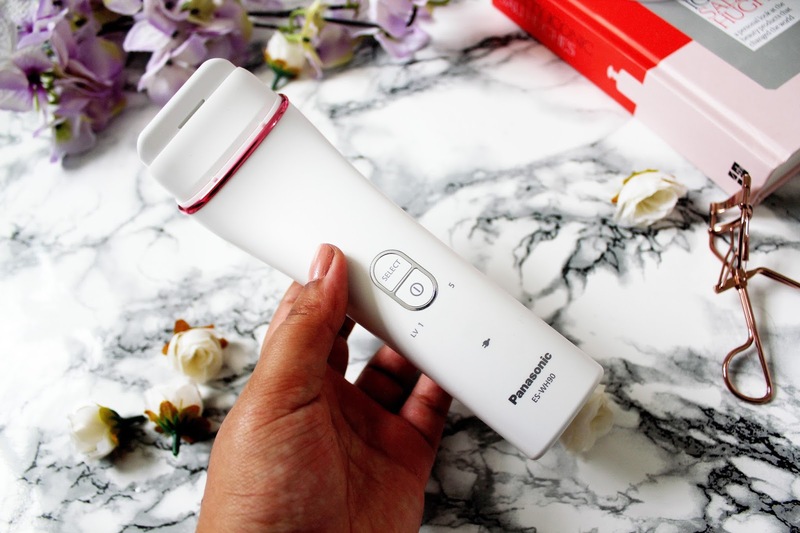 I think that from now on I’ll be able to see a lot better what the difference using this device has made to my skin. I think this week has been the most important week for me as I’ve been so impressed with the results I’ve seen so far. I can see a reduction in how quickly the hairs on my legs grow and the hairs, which have growing, are a lot less thick. I think my results from using the Panasonic ESWH90 IPL Hair Removal system are still early days and hopefully in the next 4 weeks I’ll be able to see even more of a difference. 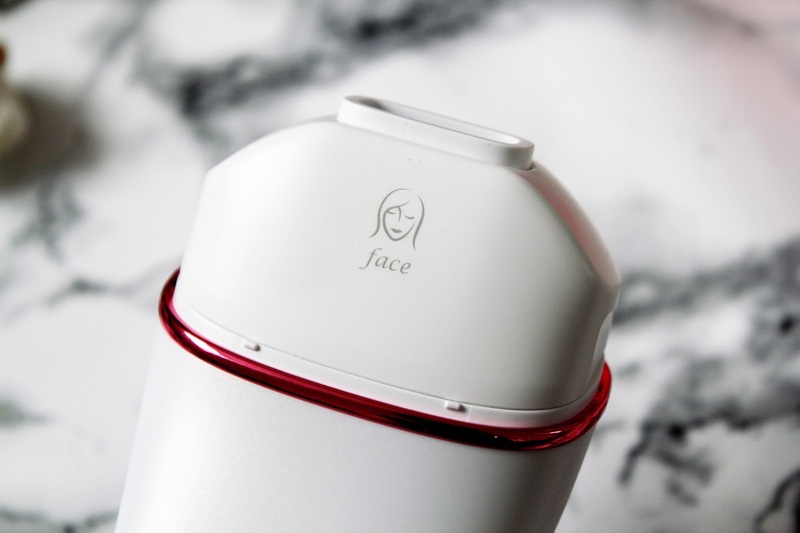 I think after this time has passed, I’ll move onto using the facial tool and be able to remove even more unwanted hairs. 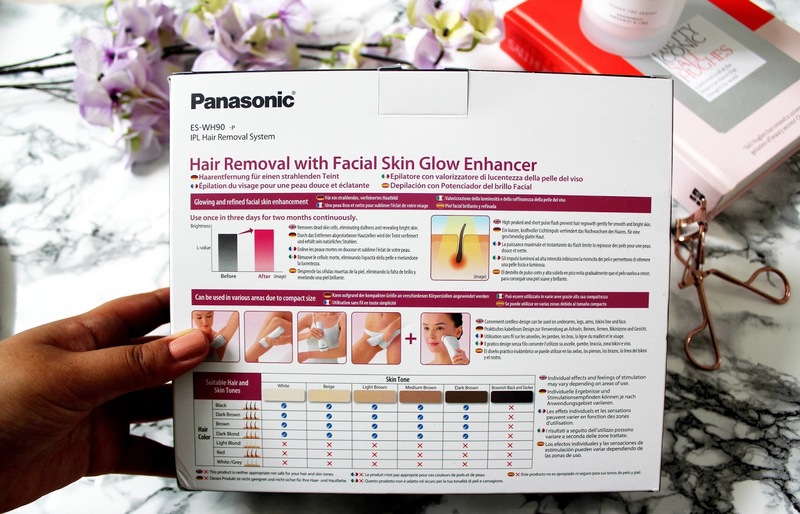 If you are used to paying expensive salon IPL treatments then I would 100% recommend this product from Panasonic to you. I think it’s great value for money, super easy to use and it’s a gift, which will last you forever. 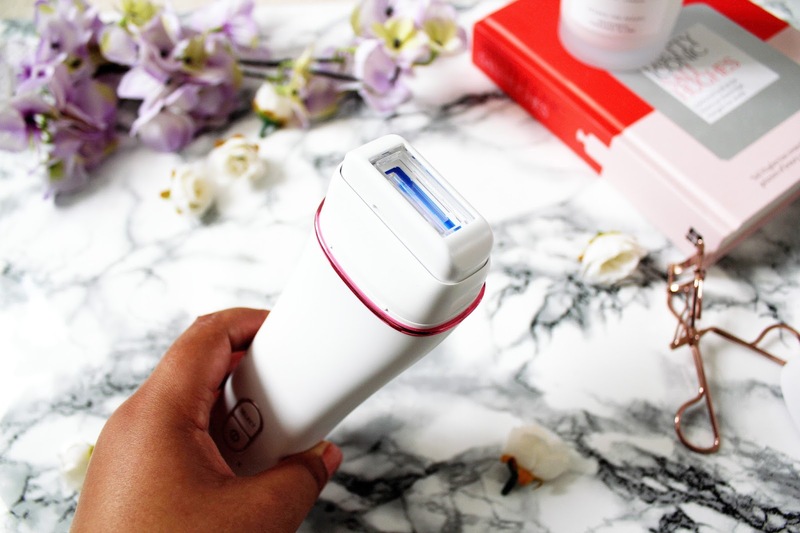 I think if you’re also someone who hates shaving or just finds it a long task then you’ll want to try out this IPL system too. 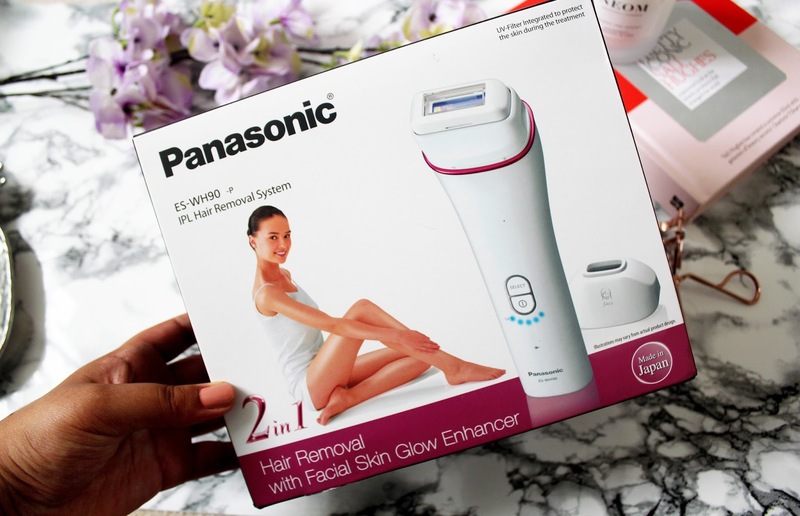 If you put the cost of this IPL hair removal system next to the prices you can pay for people to do this for you at your local hairdressers/spa then you will know that this system is very effective. 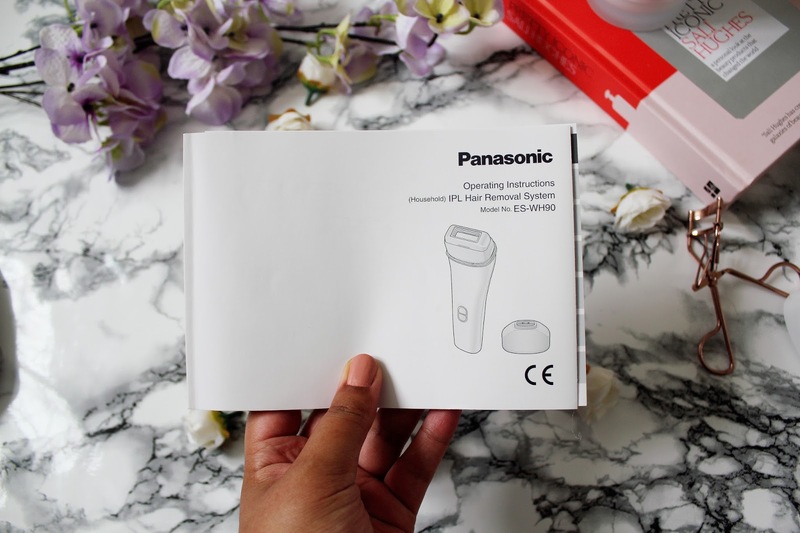 Statistics surrounding the wear wattage findings by Panasonic Beauty which showcase on average that Brits spend £5,300 on salon hair removal in a life time and this system is £399 which is a fraction of the cost! on average this system saves you 24% a year!! All round I am super happy with the results so far and if you’re looking for a long term solution into hair removal and how to not waste as much time removing unwanted hair, I would 100% save up for this. Have you tried hair removal? Have you got any recommendations? I haven't tried Laser Hair removal before and have to admit I'm a bit scared of the concept!